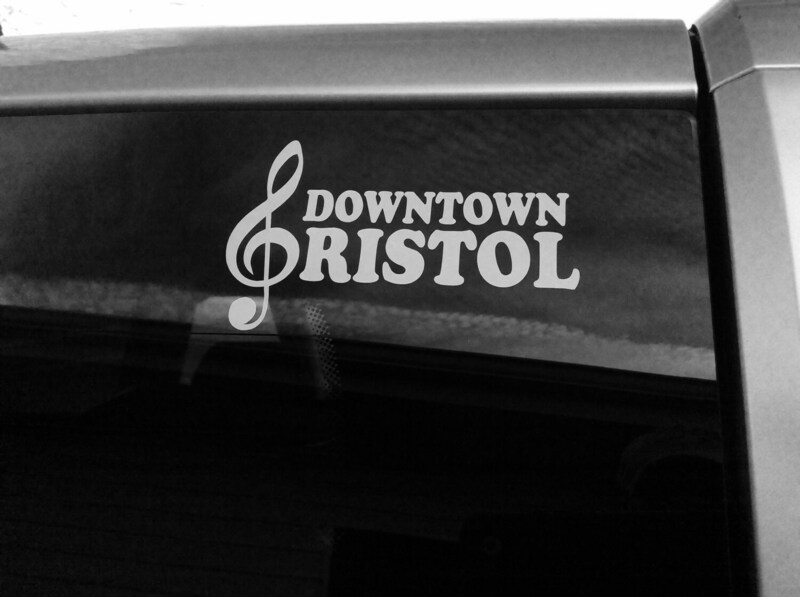 Downtown Bristol decal- Downtown Bristol Virginia/Tennessee is a music Mecca! 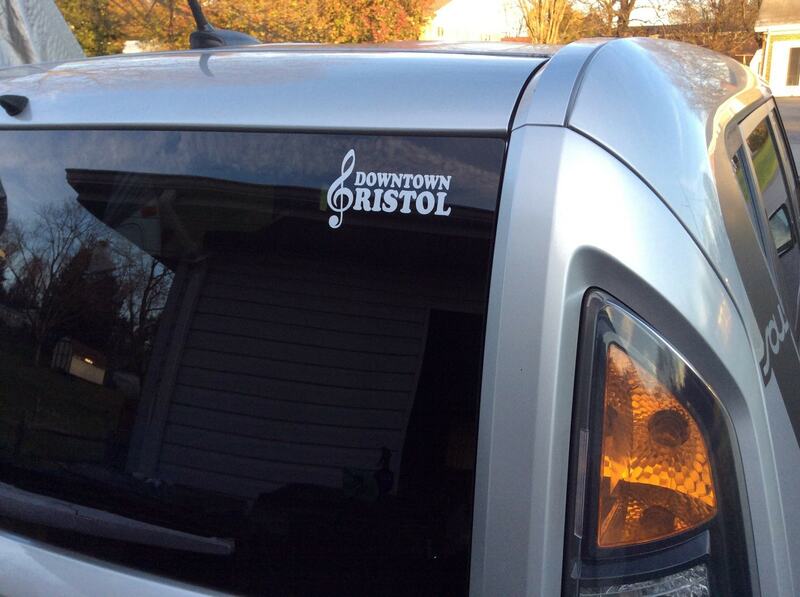 Known as the Birthplace of Country Music and home of the growing annual Rhythm and Roots Reunion. 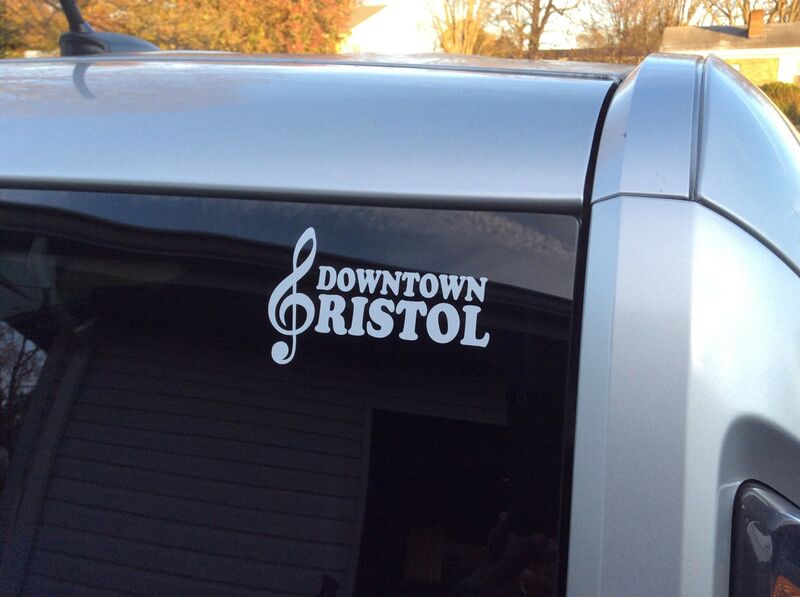 Live music can be found just about any night of the week in one of many downtown clubs or eateries. We use only high-quality outdoor vinyl. Long-lasting, weather and water resistant. Great for car, truck, boat, RV or any smooth, clean surface. Easy to apply. Application instructions included.